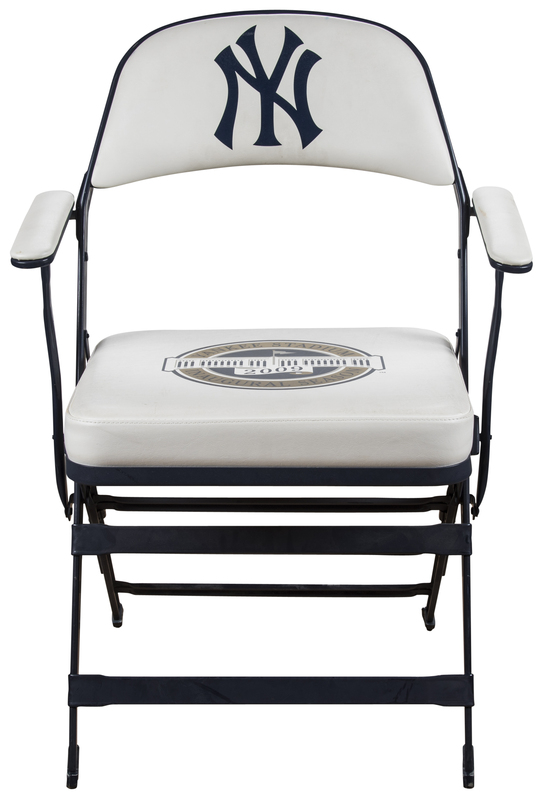 New York Yankees slugger Alex Rodriguez used this Yankee Stadium clubhouse chair during the 2009 MLB season. 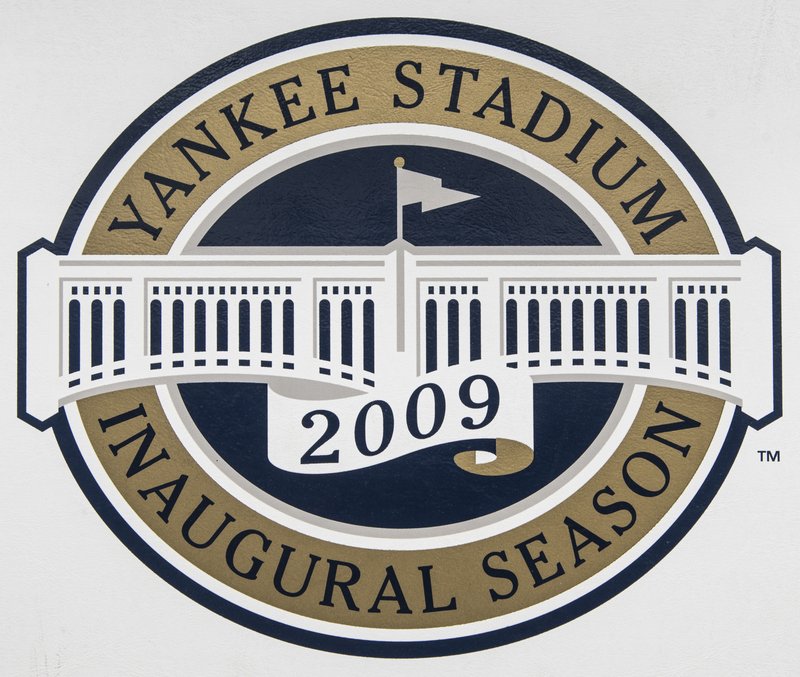 This was the first year in operation for the new Yankee Stadium after the Bronx Bombers spent the era from 1923 to 2008 in The House That Ruth Built. 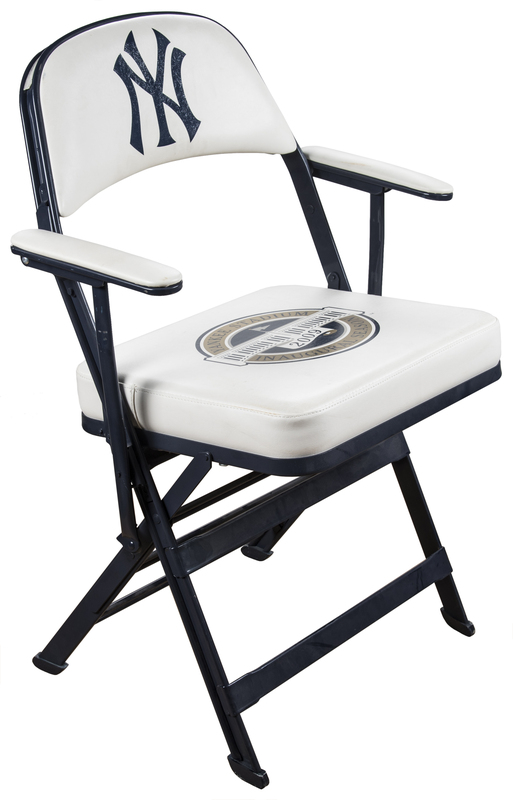 Rodriguez had an excellent year in 2009, recording his 12th consecutive season with at least 30 homers and 100 RBI. 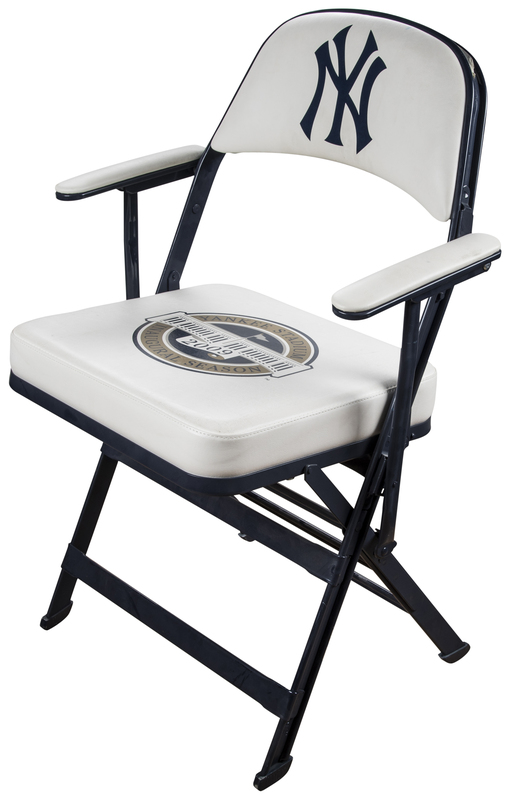 This offered clubhouse chair is white and navy, with a Yankee Stadium 2009 Inaugural Season logo applied to the seat and a navy “NY” logo applied to the backrest. 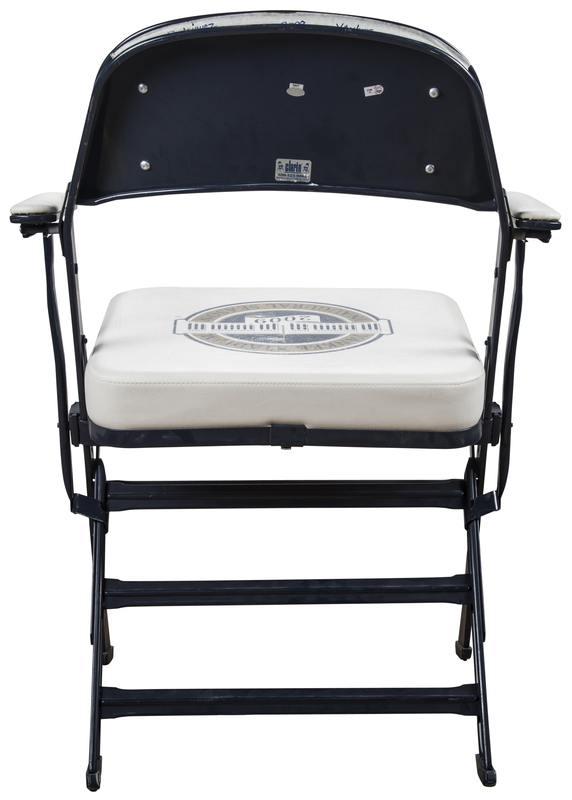 A piece of tape is adhered to the top of the chair with “Rodriguez 2009 Yankees” written on the tape in blue marker. 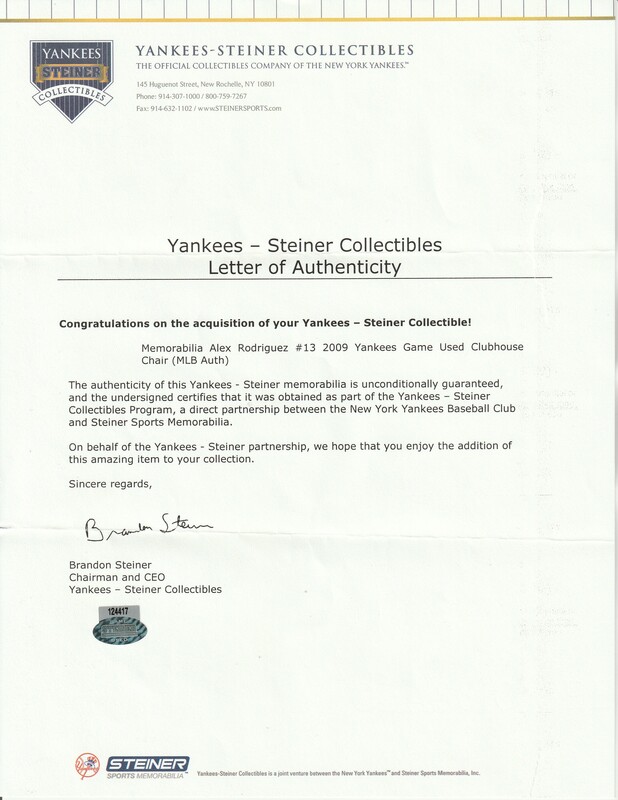 This chair comes with a LOA from Yankees-Steiner Collectibles and an MLB Authenticated hologram (LH 617608).